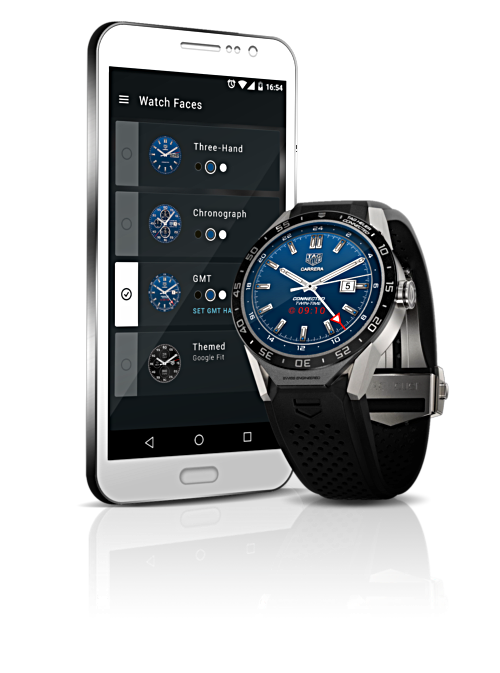 As scheduled, Swiss watchmaker Tag Heuer launched its first smartwatch at a dedicated event in New York today. 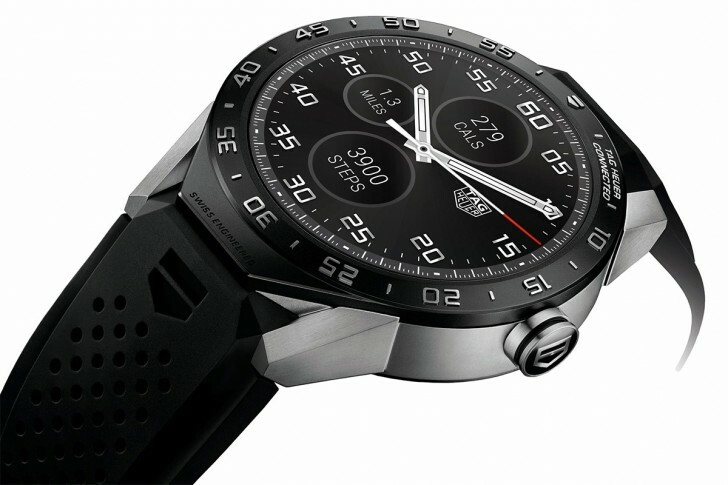 Dubbed Connected, the $1,500 Android Wear-powered intelligent timepiece is inspired by the TAG Heuer Carrera, and has been developed in collaboration with Google and Intel. Specs-wise, the watch is powered by a 1.6GHz dual core processor from Intel, and sports a 1.5-inch fully circular transflective LTPS LCD display (covered by scratch-resistant sapphire crystal) with a 360 x 360 resolution and pixel density of 240ppi. It comes with 1GB RAM and 4GB internal memory, and packs in a 410mAh battery. In terms of sensors, it includes gyroscope, tilt detection sensor, microphone, and there's also a haptic engine. The connectivity options include Bluetooth BLE 4.1 and Wi-Fi (2.4 GHz 802.11 B/G/N). Weighing in at 52gms, the watch is 46mm wide and 12.8mm thick, and is compatible with Android 4.3+ / iOS 8.2+. It is equipped with directional wind and weather monitoring, and also offers IP67 water and dust resistance. 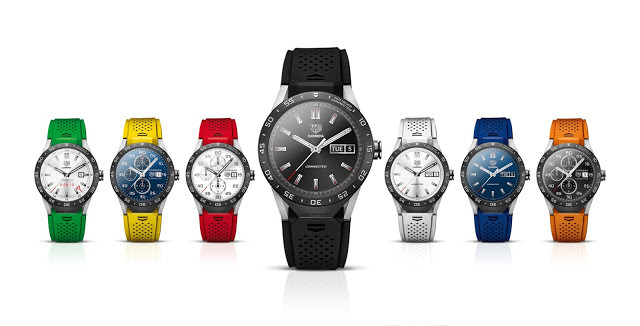 "The TAG Heuer Connected includes a beautiful set of digital watch faces with classic TAG Heuer dials," said David Singleton, VP of Engineering, Android Wear, in a blog post. "You’ll be able to personalize what information you want to see: weather, step count, or calories." Another thing worth mentioning here is that after two years you'll be able to pay an extra $1,500 and trade-in your Connected smartwatch for a more traditional Carrera watch, which carries a price tag of around $3,000. As for availability, only the black band bracelet option is available for online purchase, while all other band color options are available in store. And as already revealed, the Connected will land in Europe on November 12. So disappointing to see such product from this luxury brand! I was expecting a WOW factor and what I saw was a huge, bulky piece of metal that is vastly over priced. I guess I'll stick to my Huawei watch for a long time.